Lloyd George promised the returning soldiers a land fit for heroes. It was hardly that. What is sometimes forgotten today is the utter poverty of those post war years. Mabel Hurst was born in 1890, and grew up in Wellington Street, the daughter of Francis Hurst, a fitter in the Works, and his wife Elizabeth Ann. In 1912 she married submariner Edward Bevan and the couple made their home in Plymouth. An Engine Room Artificer on HMS E16 Edward was awarded the Distinguished Service Medal in January 1916. Just seven months later he was lost at sea when the E16 was sunk by a mine in Heligoland Bight on August 22, 1916. There were no survivors. 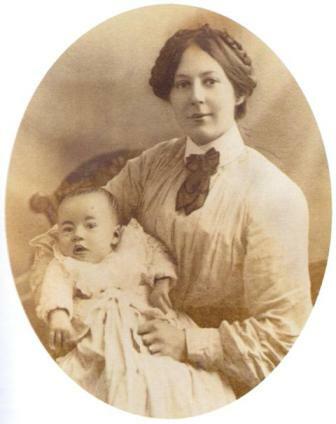 Mabel returned home to Swindon with her two children. She took in a lodger to try to make ends meet but he proved to be a violent man. Eventually, overwhelmed by grief, poverty and worry, Mabel tried to drown herself in a stretch of water behind Ferndale Road. She was rescued by a passing policeman who marched her home, dripping wet, where he pointed at her children and told her to look after them, a scene that lived long in the memory of her daughter.